Everything You Need To Know About the Most Beautiful Cycle Track. Grand Paradiso National Park, Italy is the first National Park, surrounded on all four sides by high mountains of Alps. It is known to be Graian Alps, between the Aosta Valley and Piedmont regions. There is a beautiful cycle track located at 800 meters high above sea. During the big events, thousand of people gather here. 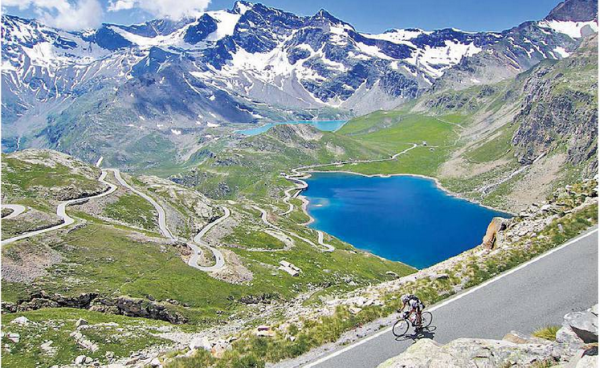 It is believed that it has the most beautiful cycle track of the world. Originally, 1856 it was the hunting place for the royal family. The idea was to protect the Alpine ibex. It has on the endangered species and, for this reason, the initiative. In 1920, King Emanuel III donated the place about 21 Sq. Km to the nation and declared and protected as the first National Park. 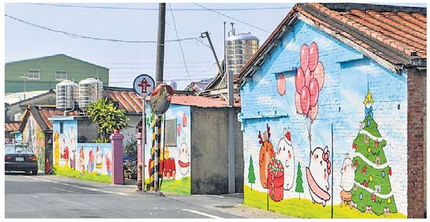 The beauty of village Hujiacun, Taiwan has enhanced, the reason each wall has a cartoon character painted on it. The environment is replete with colors. In reality, there were three sisters, who had come to spend their vacations with their grandmother. They filled the walls with colorful cartoons and Daruma doll paintings, which symbolize prosperity, good luck, and considered as very auspicious. Photo SourceThere was also a window, through which, the grandmother viewed the outside life. The villagers liked the pictures and one by one they started to paint their houses with such paintings. They brought in more themes like mermaid, SpongeBob Square pants, and many such characters. The whole village turned to be colorful. Over some time, the news published in a few newspapers. A few tourists came over and slowly the number swelled up. And lo, all this added up, it is now a regular tourist attraction. Income has enabled all to enjoy, and new additions are added now and then. One of the tourist wanted to find out as to how the beginning was made. Name of three sisters came and the village is known as the most colorful village.